Gardening books and recent thoughts. I am able to grow plenty of food. Unlike traditional growing seasons (at least for the books, articles and information available in English) it is much easier to grow food in the winter time in my area. This has most to do with water, but even if water is available to pour onto crops, the air temperature can be prohibitive also. I grow quite a lot in winter and much less in summer... and much of that in pots or confined spaces where I can more easily control the temperature. This was brought home to me a couple of summers ago when I had a lovely crop of tomatoes that couldn't ripen. They faded from green to white and only those that were ready to ripen when the temperature was significantly below 40C (104F) were able to turn red. After quite a bit of reading about other people's experience, I discovered that tomatoes actually ripen at temperatures between 20C and 25C. (That is about 70F to 75F) and when the temperature is over 30C (86F) they will not ripen at all, but turn white and remain hard. That is what often happens to mine in summer. Potatoes are another interesting plant. They need plenty of energy to produce those tubers, and so they need plenty of leafy green plants and plenty of sunshine, not to mention water, as the plants wilt very easily during hot days. Most recommendations are to grow them in summer when there in the most sunshine, but once again, if the summers are too hot, this becomes a matter of juggling the 'between season' opportunities and I have found that they are easier to grow in the late summer until the weather turns cold enough that the plants die off during frosts. I probably don't get as many potatoes (or as large ones) as people who are able to grow them during the longest, hottest days of summer. Winter crops are easier to grow.... the winter 'leafy green' plants, brassicas and broad beans are all much easier to grow here. And so I grow plenty of these and I have learned to preserve them for the summer when fresh vegetables are less readily produced.... though I still manage to grow some, as I stated above, in pots and protected areas, using a significant amount of water. The only brassica that is difficult to grow here is brussels sprouts. It just doesn't get cold enough. They need a significant frost to force the plants to produce the tiny 'cabbage' heads and we jsut don't get those here. There are other changes in food production that I am making. Seed saving has been useful. The easiest seeds to save (and good ones to start on) are broad beans because they are easy to find, sort and store. I found that the seeds that I saved were especially productive in my garden. I am not sure whether this was because they were collected from the plants that grew the best to begin with, or because the seeds were fresh (from the previous season) but they have done particularly well over the past few years. I have gone on to collect such seeds as coriander, parsley, onions, leeks, and brassicas, fennel, and a few other herbs and flowers. That began with saving borage seeds a few years ago. 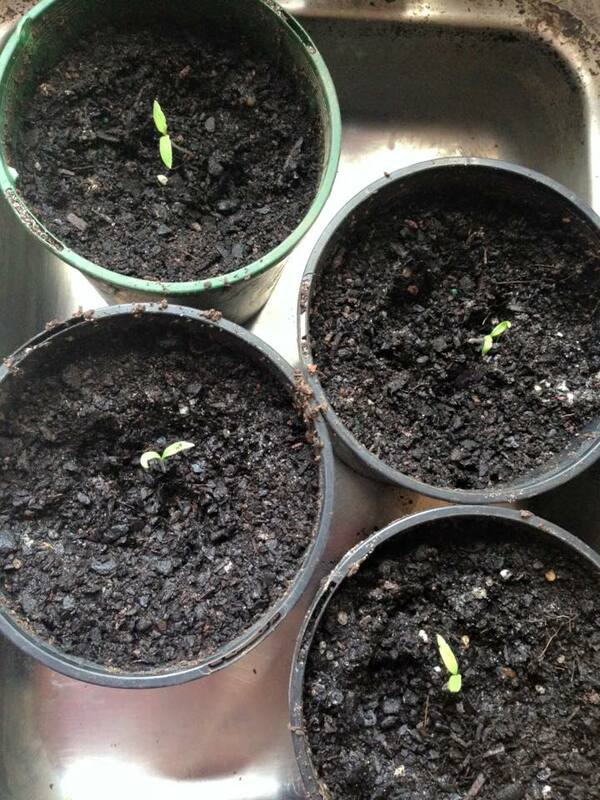 This year is my first foray into tomato seeds. I had heard that it was difficult to maintain viability in these seeds, but as they do sprout from compost heaps and garden waste, I thought it was worth trying. I don't like to waste too much time or money on tomato plants for much of the year because of the difficulty in ripening the fruits. I remember the first summer after I moved here and trying to grow potatoes, they all shrivelled up and died. It was only after reading your blog that I discovered it's best to grow them in the cooler months. I've found that I can grow potatoes in the winter, I just have to remember to keep an eye on the weather and if a frost is forecast I cover the potatoes with clear plastic. I agree, the colder season is more productive for us too.